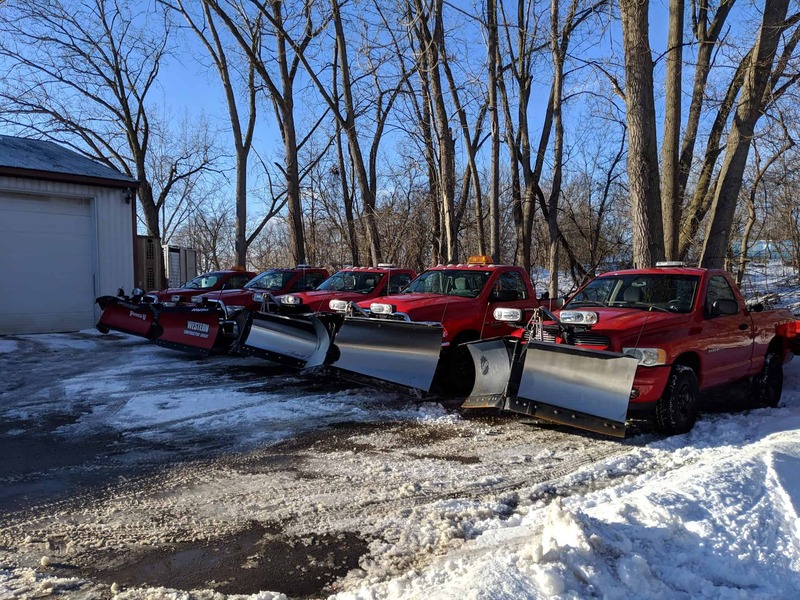 Timmer Lawn and Snow has been providing snow removal services in Grand Rapids for over a decade. We pride ourselves in providing consistent and timely snow plowing services for very reasonable rates. Our weather can be incredibly unpredictable. Welcome to West Michigan! Leave it to us to maintain your driveway during those long winter months. Although we normally have your driveway cleared by 7:00am, heavy storms may add time to each job, putting us slightly behind schedule. We initiate our plow routes once 2 inches of snow has accumulated. If the snow accumulates after midnight (say, 4am), we begin plowing at that time. In a scenario like this, we may still be clearing driveways until mid-morning. We appreciate your understanding during these times while we battle that lake effect snow we’ve grown to love. After the city plows come through and put heavy slush on your driveway, we will be back to clear this so you do not have to clear this with a shovel. Our service starts November 15 and ends April 1. There is a rarely a snow plow event that happens outside of this range. We stay about 3’ away from your garage door. We also stay about 2’ away from any cars parked in the driveway. This is for both your safety and you safety. If we come within 3 feet of your garage door, there is a chance that our driver will slide on ice and hit your garage door. For an extra fee, the driver can shovel the areas that we cannot get with a plow truck. We will return to plow your driveway entrance between midnight and 7:00 am the night after receiving 5 inches or more of snow. All customers will receive updates via email. Yes, we carry a $2,000,000 General Liability policy, as well as Commercial Auto. We also have MI Workers Compensation, and pay all applicable taxes required of a company with employees. We strongly suggest you only hire a fully insured company. At times, we may accidentally scrape part of your lawn. Any repairs that are needed in your lawn will be taken care of in the spring, at no cost. Our drivers are trained to work around cars. However, we will not clear the areas inaccessible because of the car. If you expect to have a car on the driveway when we arrive we recommend that you make sure to place it as close to the top and side of the driveway as possible to allow the driver maximum accessibility, or to move it onto the street if possible. One thing to remember is that if a car is blocking your driveway and we are unable to service the drive, if you want us to make a return trip after the car is moved there will be an additional cost. Although you may hear the occasional scrape on the driveway, our equipment makes less noise than your neighbor’s walk-behind snow blower! Also, your driveway can usually be cleared in 5 minutes. Customers generally are unaware we have cleared their drive until they have looked out their front window with their morning cup of coffee. Timmer Lawn and Snow has the most thorough training in the business! In October every year each new recruit is trained on the navigation of his route, familiarized with the technical aspects of his equipment, provided with hours of practical driving exercises, and thoroughly briefed on safety issues surrounding both the public and himself. He is supplied with both literature and hands-on training, so don’t be surprised if you see a couple of our team members out on the road pre-snow! No, the drivers aren’t crazy, they’re just practicing. We believe that preparedness reduces stress, the opportunity for damage, and the loss of time, which ultimately translates into the delivery of better service to our customers.